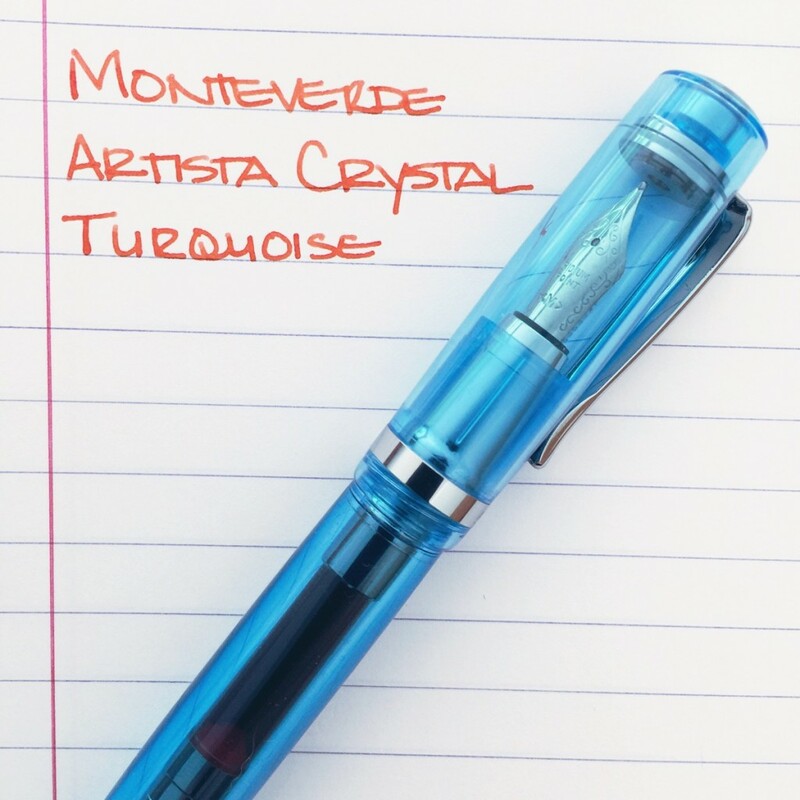 The Monteverde Crystal Artista is one of the pens that I’d had for awhile, but never inked. Shortly after receiving it, I realized that I didn’t enjoy pens with metal sections (the part of the pen you grip). Generally speaking, they feel hard, can be slippery, and are just not as comfortable to me as resin/plastic sections. Bits and bobs . . . 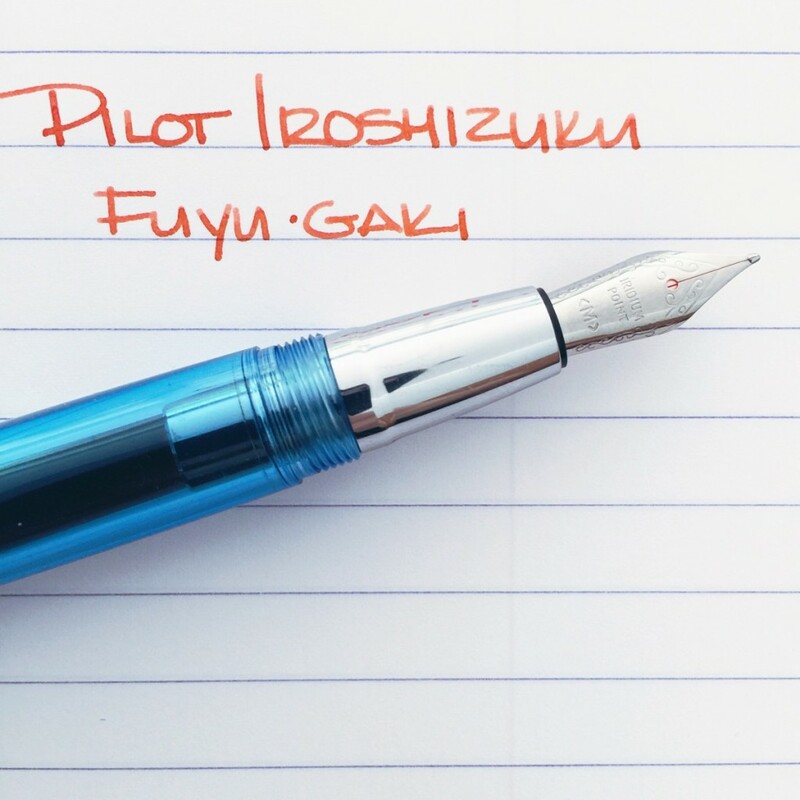 I inked it up with Pilot Iroshizuku’s Fuyu-gaki. Complimentary colors, you know. Other than the anticipated slippery grip, I really like the Artista. The weight and balance of the pen are right on for me. The cap is easily posted and writing while posted is comfortable. Once inked, it started right up. I experienced no problems with skipping or hard starts. 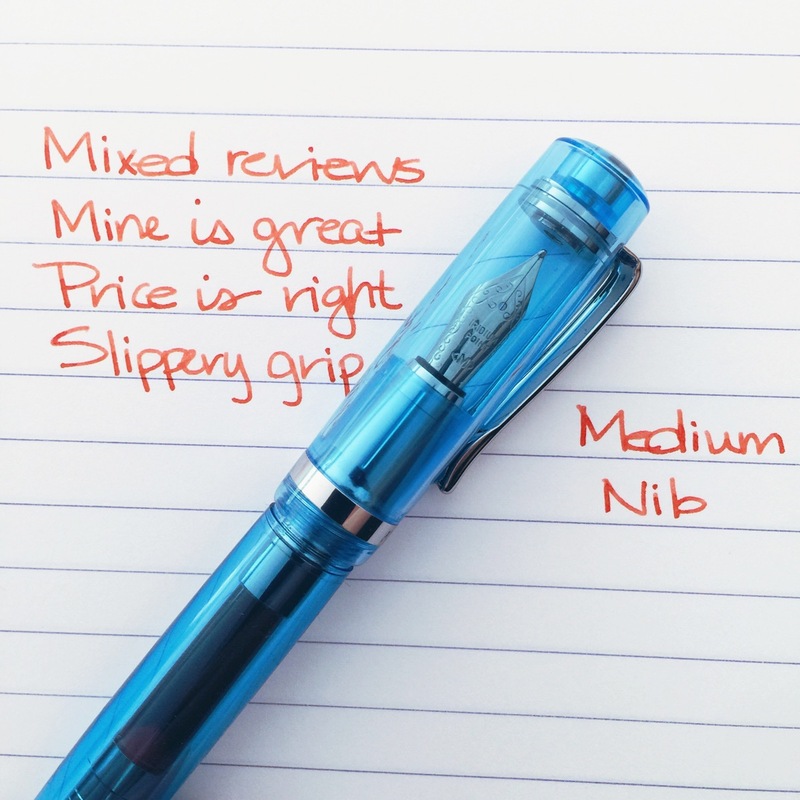 The nib is smooth (though not buttery – and that’s ok with me). 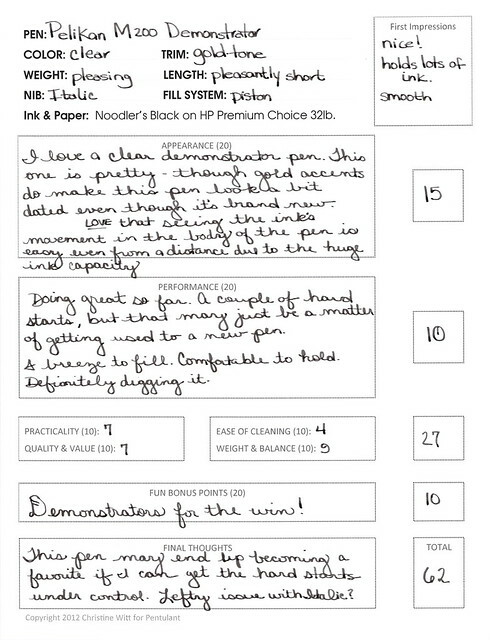 A very good pen in terms of ease of use and value for the money spent. 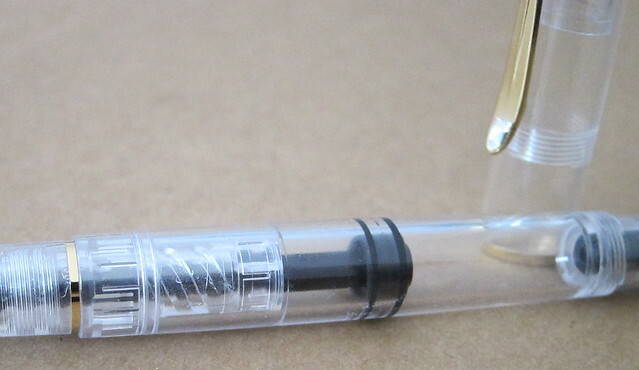 Here’s the downside – I read the reviews of this pen. Not everyone is loving it – or even liking it. Inconsistent nib issues and problems with the converter staying seated in place seem to be the biggest complaints. While I experienced none of those issues, I would say that my bottom line is: Proceed with Caution. 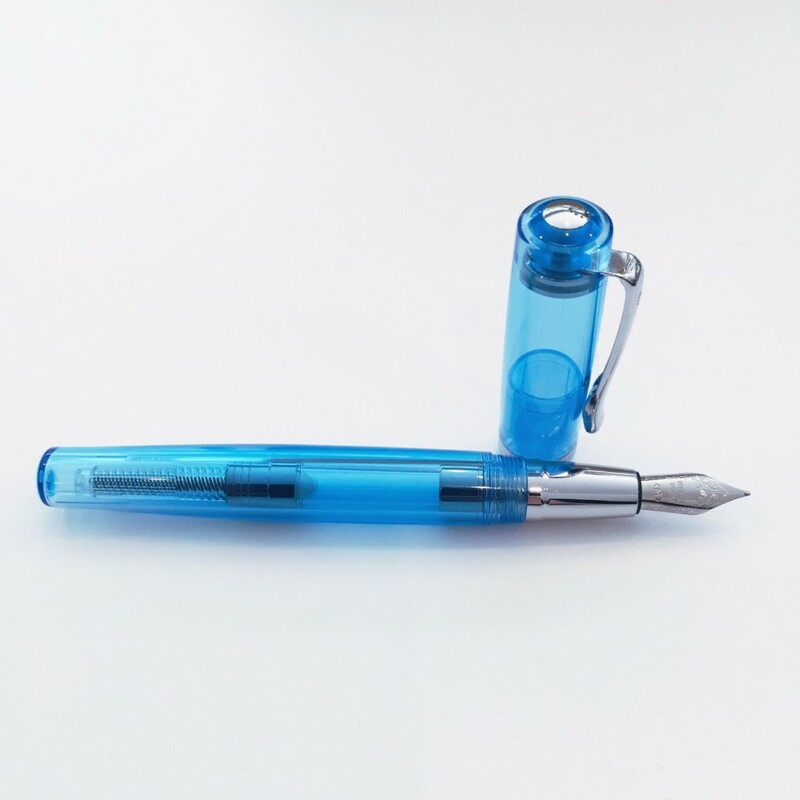 Do you have this pen? Love demonstrators? Hate demonstrators? Tell me all about it in the comments. 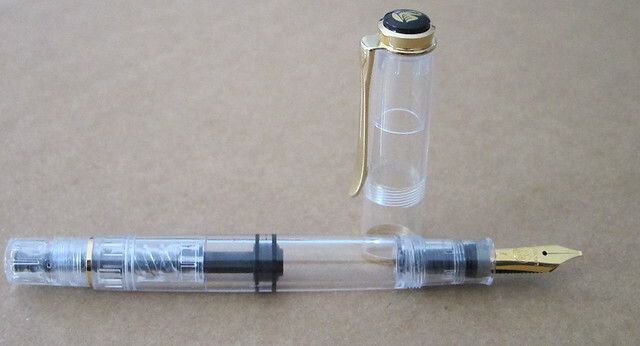 What’s better than a demonstrator pen? 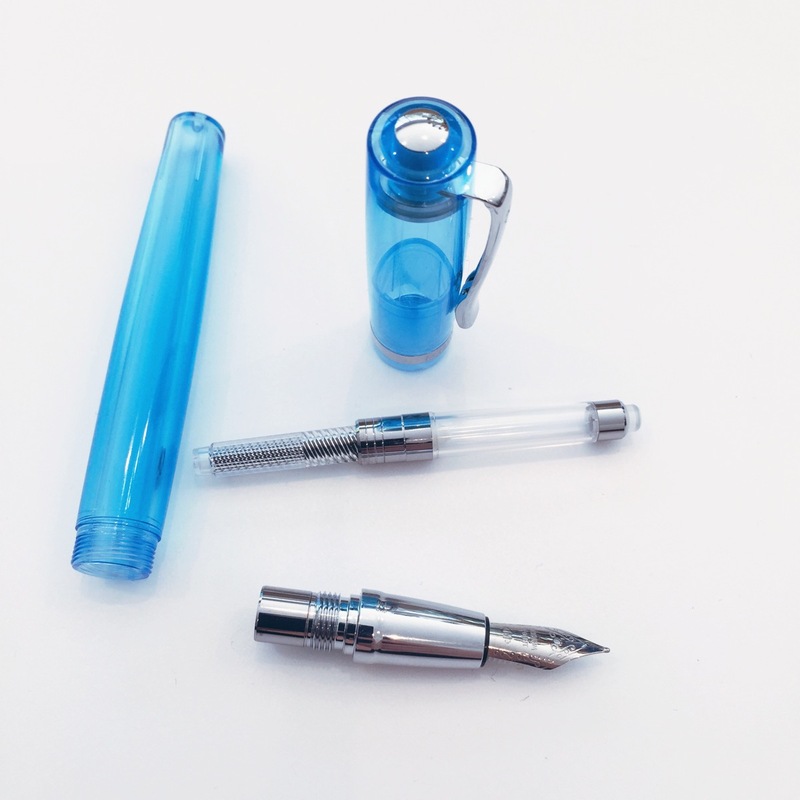 A demonstrator with a great looking fill system. Of course, looks aren’t everything. I liked it! 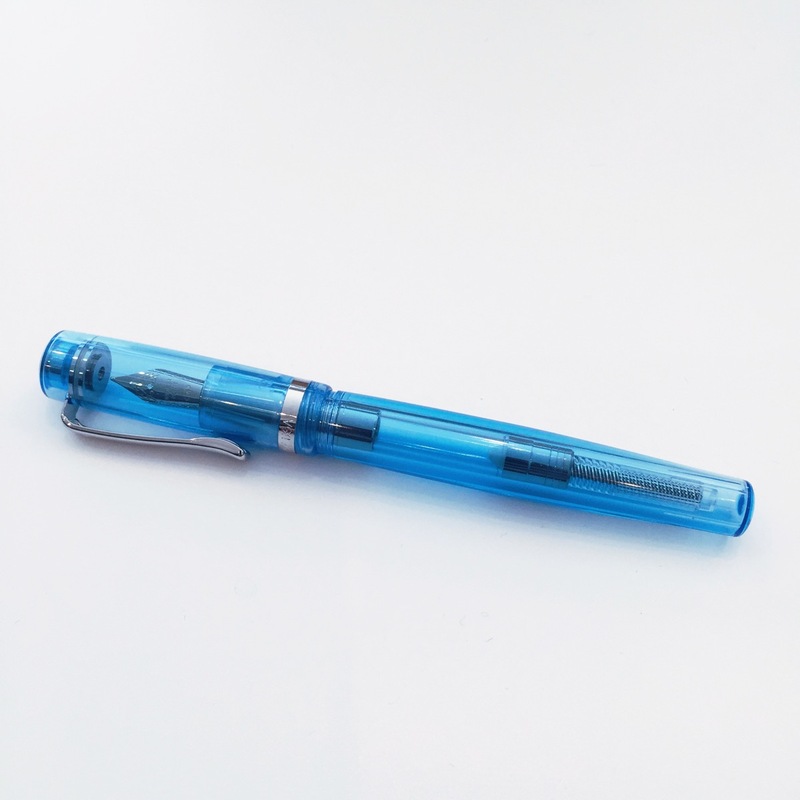 Shorter than your average pen, but well-balanced and neither too heavy nor too light. It holds a gallon of ink and as I rarely use more than a couple of ml of ink per pen each week, I didn’t fill it completely. 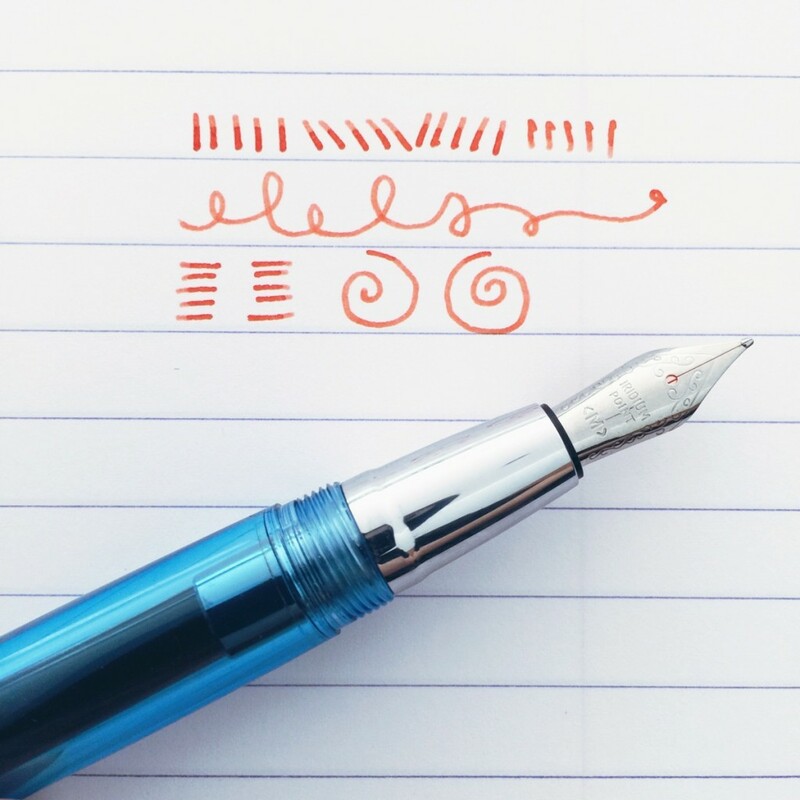 Lordy, I love seeing that ink slosh around in the pen. Even if it was “just” Noodler’s black doing the sloshing. Beautiful. I had some repeated issues with hard starts. 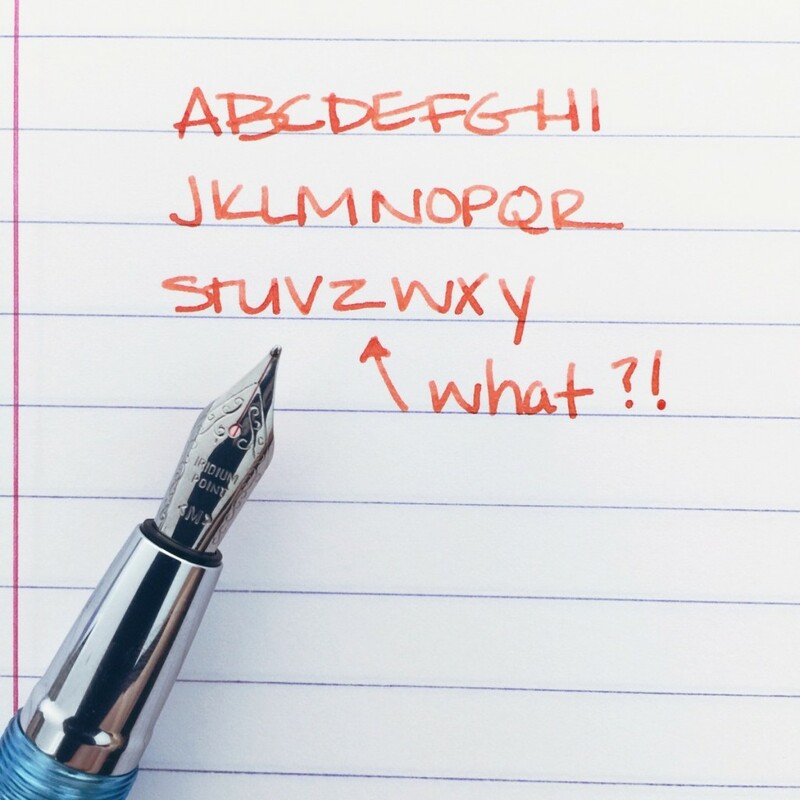 Wondering if it’s the italic nib + my dastardly left-handedness that causes the trouble. 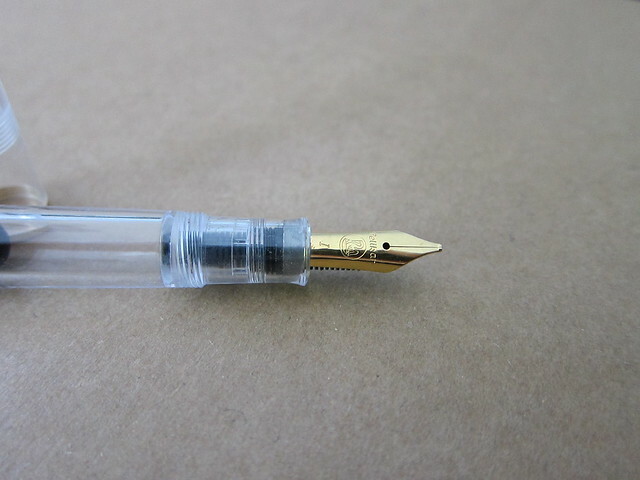 Fortunately, I have a replacement nib (it was free with purchase – nice!) and can try again another day with this one. Do you like demonstrators? I like them and have a strong preference for those that are perfectly clear.